iPod Classicの容量を160GBからSDXC 256BG、mSATA 500GB、1TB化した際のベンチマークスコアが公開される。 | AAPL Ch. 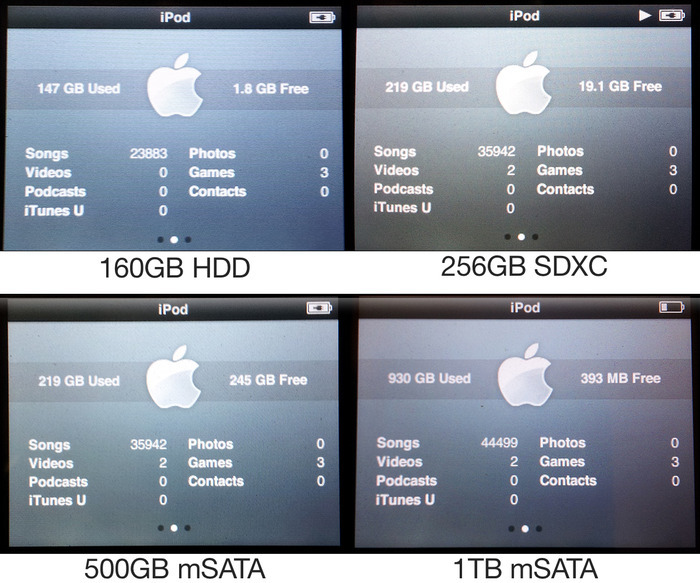 So it is finally time for a quick write up comparing the various storage options for the iPod. Two playlists were created one comprised of 320kbps MP3 tracks, the other Lossless m4a tracks. I decided to do this as the frequency that the iPod reads from the storage device varies depending on bitrate of the music – e.g. 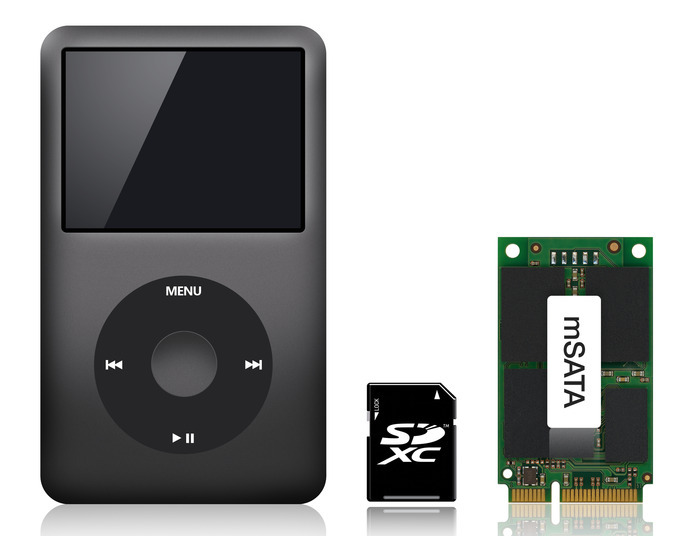 with 320kbps MP3’s the drive is read every 10 to 12 minutes, where as with a high bitrate lossless m4a the drive is read every 2 to 3 minutes. 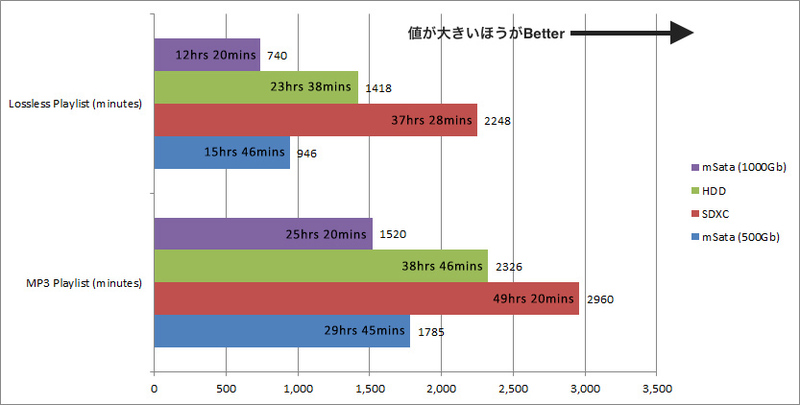 Very dramatic difference which will have a huge impact on runtime results. While the SDXC has the slowest raw transfer speeds, it is the hands down winner of the Read-ahead and access times test. 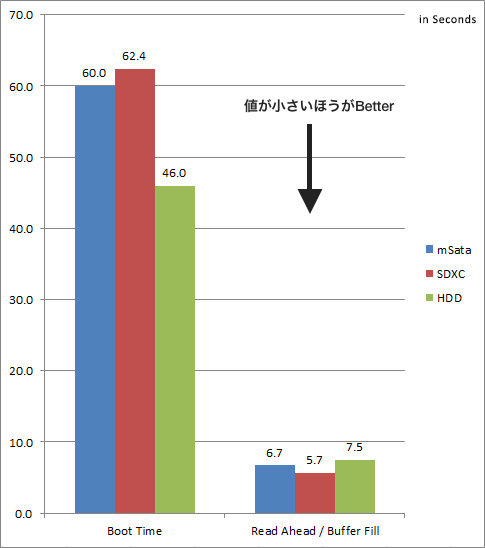 HDD is the slowest at 7.5 seconds which was to be expected as it takes over 1 second for the drive to spin-up before actually reading any data. The mSata comes in 2nd with a time of 6.7 seconds this maybe surprising but the SATA bus actually takes some time to handshake and negotiate the link from powerup. I setup a low tech IP camera setup to take a photo of the iPod every minute, which allowed me to time exactly when the iPod switched off (to the nearest minute). 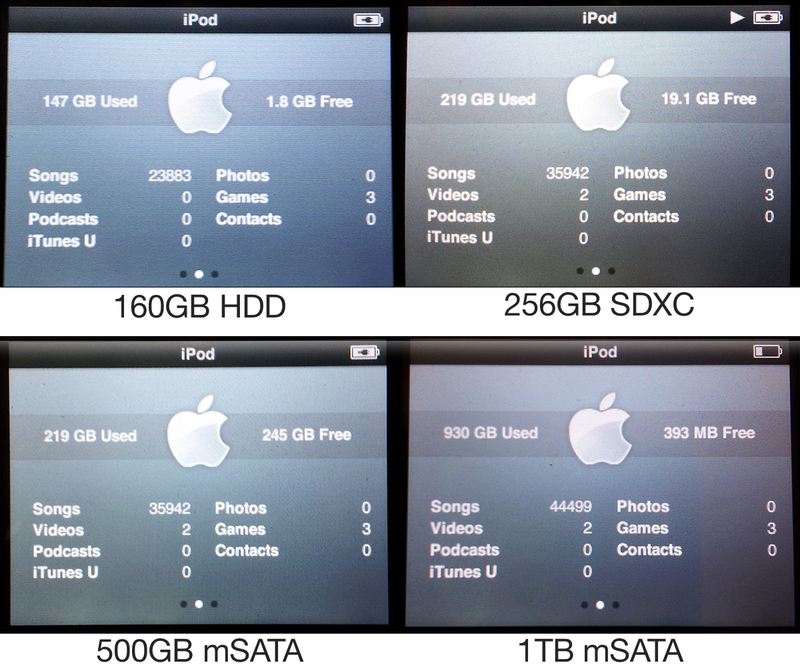 If you are happy with 256GB or less than look no further than SDXC. 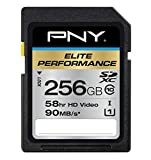 If you need more capacity then the only option is mSata, you do trade runtime for the best price per GB, and un-matchable capacity (for now! ).